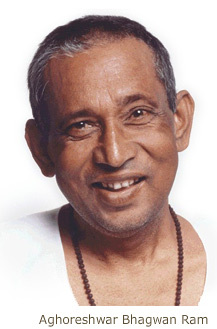 “Instead of being confined to any particular religion, be a human being first.” Aghoreshwar Bhagwan Ram (1937-1992), a realized saint from the tradition of Aghor. Sonoma Ashram is the home of Aghor Yoga in the United States. Aghor Yoga is an ancient path of timeless spiritual wisdom that meets the needs of modern people. Away from dogma, the wisdom of Aghor Yoga emphasizes personal freedom and practical ways to live a meaningful life. 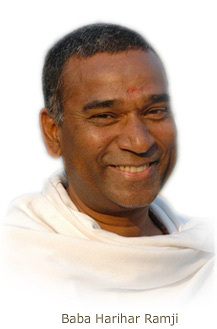 In place of dramatic visions and other fleeting experiences that are easy to confuse with spiritual attainment, Aghor Yoga offers simple practices for authentic inner development under the personal guidance of an accomplished spiritual teacher (guru). The guru functions as a bridge toward contact with our innate spiritual wisdom, and thus ultimately with the wholeness and divinity that is our true human nature. In Aghor Yoga the guru instructs the seeker in the basics of sadhana (cultivation of a daily personal practice) and seva (being of selfless service in the world). By weaving the practices of sadhana and seva into the fabric of each day, the student achieves a sense of peace and fulfillment, and becomes better equipped to meet the challenges of modern life with calmness, grace and skill. The vibrations emanating from the student spontaneously touch others, contributing to greater harmony in families, communities, workplaces, cities, nations, and eventually the world. Aghor Yoga can be practiced by anyone without regard to religious or ethnic background. Babaji's Fall 2018 India Report: Please find a report on Babaji's recent visit to India here. Please find a glimpse of our Fall Navaratri Celebration here.